Decisions, decisions. It used to be that a book was a book. You picked it up off the shelf and either you took it home or you didn’t. Some books came with choices: hardback or paperback. If you loved the author or had great hopes for the story, and had the money and/or shelf space, hardback. If you wanted the words and weren’t sure about long term keeping, paperback. Otherwise, you took what you could get. Now that I’m creating the books, more choices. Or rather, I have to make sure that everyone’s favorites are available, because some folks like PDFs and others want epub or mobi, and for others, paper is the way to go, so I have paper and epubs and lions and tigers and bears… Oh wait, that’s a different book. But now, I have the choice of glossy or matte finish on the trade paper edition of Spokes. What to do? 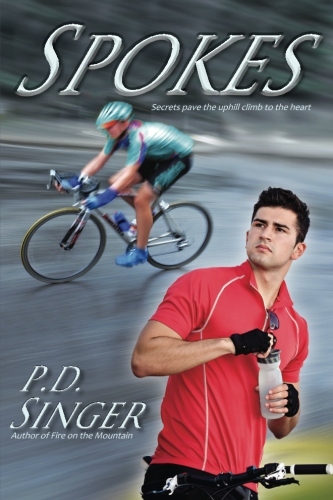 This entry was posted in Spokes, Writing and tagged book cover, poll. Bookmark the permalink.